In the last 12 months, our #BizHeroes chat has grown by leaps and bounds, to reach almost 700 million timeline deliveries! How cool is that?! We owe it all to you. Your participation, feedback, and insights taught us a lot about building the Paper.li community in the right way. I hope this week’s roundup will motivate you to start your own community. And if you already have a branded one, this list should help you take it to the next level. Communities are not exclusive to certain industries or big companies. Every marketer and business can build a successful one. With that said, before jumping on the bandwagon, there is is one thing to take into consideration: What you wish to achieve. Your goals could be as simple as offering better customer care, encouraging loyalty and advocacy, providing a helping and supportive hub, and/or letting your fans steal the show. When it comes to the latter, the Ford Motor Company is a great example to follow and learn from. Its Ford Photo Community on Google+ gives fans the opportunity to share and discuss their love for the cars. Not only does it humanize Ford, but it also allows it to identify brand advocates and potential influencers. Building on those conversations will allow you to understand how to meet your audience where they are really comfortable interacting with you. People are usually a lot more receptive that way. Finally, take into consideration your current needs and resources. Remember that things take time. Rome wasn’t built in a day! What I am about to say is nothing new. However, I think it bears repeating: There is no community without an audience. Business owners and marketers need to acknowledge and celebrate them. 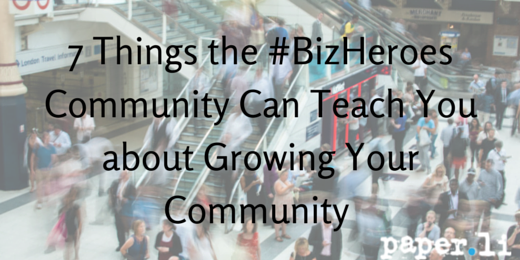 So, how can you make it about your customers at all time with your community? Make community participation as frictionless as possible. Do you know that 73 percent of consumers are likely to buy from a responsive social brand? Also, more than half of internet users would recommend a company if they were rewarded for it. Advocacy is one of the most effective way to build your brand’s reputation. Why? Because advocates are 70% more likely to be seen as good sources of information by people around them. Have you ever heard of NASA Social? The government agency created the hub a few years ago to promote its missions, people, programs, and behind-the-scenes events. Whenever one of these events is set to happen, NASA invites bloggers and other social media influencers to apply for media credentials. The eligibility requirements are simple: You must be an active social networker, post clean content, and have a large, non-traditional audience. Selected applicants enjoy the same privileges as journalists! These include the ability to meet astronauts, cover space launches, and share their experiences with their networks. Genius, right? Well, that’s the way a great branded community should be. It’s not just about impacting campaigns. You also want to build an emotional connection with your audience. From there stem regular contributions and participation. Thriving branded communities are hotbeds of positive conversations and connections, which often start naturally. Members do not just enjoy engaging with the companies or marketers behind them, they also respect and help one another, welcome new members with open arms, and side with brands when need be. According to a New York Times study published in 2014, people have never shared more content than today. But they don’t do it thoughtlessly. More than 9 in 10 online users focus on value, while 68% of people see it as a way to define themselves to others. People work differently from 15 or 20 years ago. They want their contributions to be valued, as well as take an active part in the success of their companies. Employers that foster that kind of culture lead brands that are more successful than others. How so? According to a 2012 Columbia University report, a rich company environment keep job turnover low (13.9%), compared to a poor one (48.4%). Happy employees are also 12% more productive, as stated by the Department of Economics at the University of Warwick. “Companies like Google have invested more in employee support and employee satisfaction has risen as a result. For Google, it rose by 37%, they know what they are talking about. Under scientifically controlled conditions, making workers happier really pays off,” says Professor Oswald, one of the leaders of the study. Your greatest assets are not just customers. They are also your employees, to quote Entrepreneur’s Eric Siu. Why? Because the happier they are, the more they are likely to engage with your audience and positively influence their purchasing decisions. Actually, companies with satisfied workers outperform the competition by 20% and are more than 2% above industry benchmarks! What are your tips to build a thriving branded community? Share your experience with us!